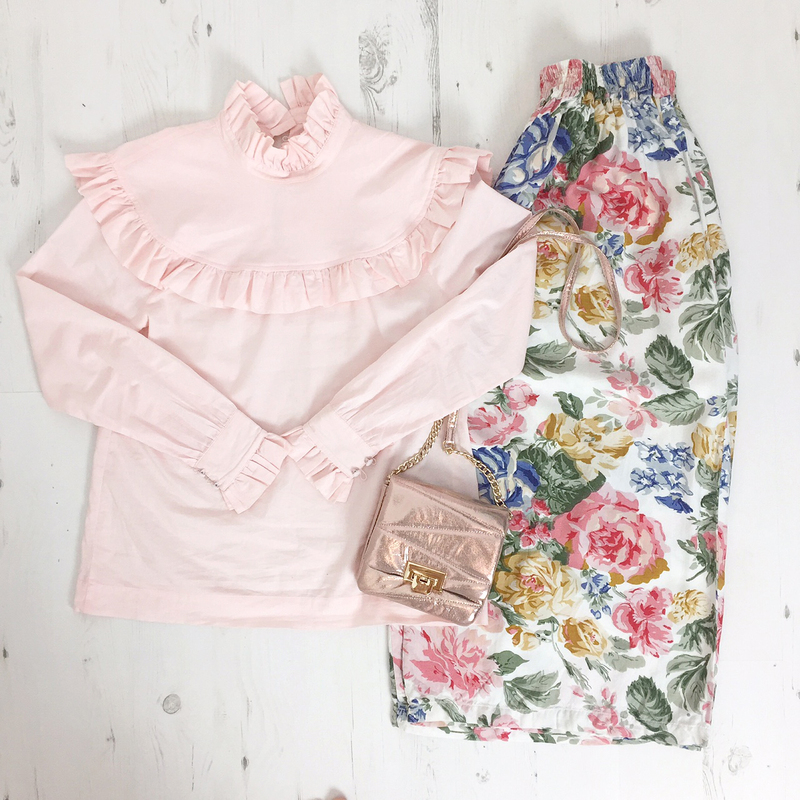 My favourite piece from this months hand pick has to be these floral culottes. I'm a huge fan of the culotte style trouser I find them so flattering and not to mention unbelievably comfortable. This pair I picked up are in the most beautiful garden rose print. They are classed as an awkward length, which ironically I don't find awkward at all I love to show off a little ankle. When preparing the outfits for photographing, I happened to have my Harry blouse at hand. I've had this beauty in my wardrobe a month or so now and I absolutely love it. As soon as I heard Alexa Chung was doing a collection for M&S I feared for my bank balance. I was delighted at how pretty the blouse looked with these culottes. Rose garden floral is a very classic vintage print, but the simplicity of the shirt brings the look up to date and keeps it looking clean and fresh. The rose gold bag finishes of the look perfectly picking up the bronze tones in the print.